Home of the indigenous Guanche people, the islands were conquered by the Spanish in C15 - La Gomera was Columbus' departure point for the Americas in 1492. Beautiful colonial buildings and historic towns dot Tenerife, while traditional farming life remains unchanged for centuries in La Gomera's remote hamlets. A veritable paradise for bird-lovers and botanists, the flora on these islands is unique. Look out for curious indigenous shrubs and stonecrops, extinct elsewhere but on La Gomera, or hardy alpine vegetation on the slopes of Mount Teide. The terrain is rocky, volcanic and lush providing a superb habitat for 200 species of bird from falcons to the native canary. 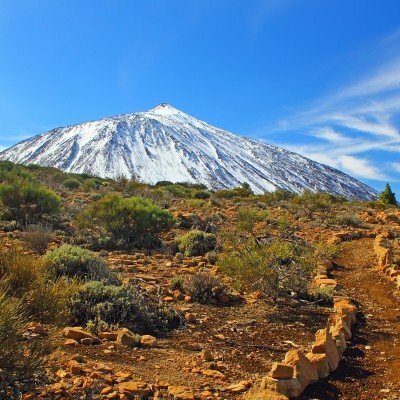 Tenerife's appeal lies in its soaring volcanic cliffs, snowcapped Mount Teide, and fertile valleys abundant with cork and splashes of yellow mimosa - and all can be explored on our guided and independent walking holidays here. La Gomera is home to ancient protected laurel forest and precipitous palm-lush ravines. La Palma boasts verdant forests, volcanic craters, a mountainous national park and rich vineyards which produce the sweet Malmsey wines, while Gran Canaria offers incredibly varied landscapes from lush forests and towering mountains, to beautiful white beaches and the cosmopolitan capital, Las Palmas. Lying off North Africa, the Canary Islands are renowned for their sunny climate, extraordinary landscape and friendly people. 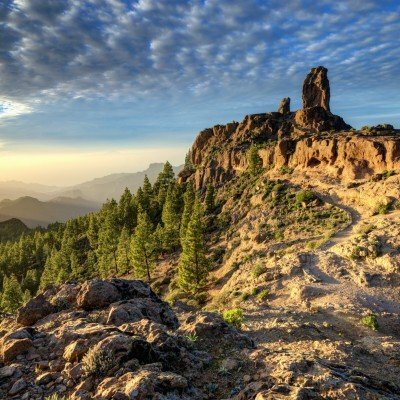 Mountainous Tenerife, lush La Gomera, dramatic Gran Canaria and the strikingly beautiful island of La Palma are spectacular destinations for discerning walkers with an eye for abundant flora and natural beauty.